What a crazy, but amazing past few days!! I love it here. SO MUCH! Where to even begin?! Wednesday I took the 8 am shuttle from the airport with some other missionaries. We bonded really fast and chatted the entire shuttle ride. We got to the MTC a little before nine o’clock, so since we were earlier than our assigned times, we kinda just got shepherded around all morning. We mostly just sat in a classroom and watched The District 2 as other missionaries arrived. Around 1 pm, we were taken to our rooms and we got to meet our companions! My companion’s name is Sister Singson, and she is wonderful! She has such a wonderful spirit and testimony and we already love teaching together. (But I get ahead of myself!) We had a big meeting with the new missionaries and got to meet the MTC Presidency. We sang Army of Helaman as the closing song, but they changed one of the lyrics to say “We are NOW the army of Helaman”. So powerful!! I think it was then that I really started realizing that I am a missionary, called of God to represent Jesus Christ! I feel so privileged to have this opportunity, and I want to be the absolute best missionary that I can be. Wednesday night, we attended a “teaching experience” class. We split up into groups of around 40 and went around to different rooms where there were set up mock “homes” that we would teach in. In each room, we had a mock investigator that we taught as a group. It was such an awesome experience!! It was definitely a big wake-up call for all of us, because we realized just how unprepared we were for teaching. One of my biggest take-aways is that as missionaries, we teach PEOPLE, not lessons. Every one is different, and we need to be in tune with the spirit to know how best to bring them unto Christ. I had a really special experience with the second room’s “investigator”. I was able to testify to the truths that he needed, right then, and the Holy Spirit was so strong. Loved that experience!! The weather has been briskly chill, but not terrible. I sometimes wear the lighter jacket in the morning, but mostly my companion and I just hustle between buildings! Yesterday we had our first full day of classes. The MTC has the BEST teachers!! My teachers are so loving and kind, and truly teach powerfully. It seemed like it lasted for at least three days, but in a good way, haha. I think I’ve adjusted to the missionary life pretty well. Sister Singson and I help keep each other accountable, because we are trying to be EXACTLY obedient to the mission rules. We were promised that if we were obedient, we would receive blessings and miracles! We met our Branch Presidency last night and that went really well. I was assigned to be our Zone’s music coordinator! (haha, no surprise there!) They were really excited that I played the piano because they hadn’t had a pianist for the past few weeks. My companion Sister Singson was assigned to be the Sister Training Leader (The equivalent of a district leader, but for the sisters). She is going to do fantastic, and I hope that I can be a support to her in her assignment. We have been having really good companionship study and prayers, and I am so grateful for that. We get our first physical mail today at lunch I believe. Elder Jones (who was assigned to be our district leader) will pick up mail every lunch and dinner I believe. Our branch president was telling us about one district he had that decided to only open their mail at 9:25 at night. I told Elder Jones that I would be perfectly ok if we did NOT do that, hahaha. Right now I am in the laundry room, doing laundry. We have free time/study time until lunch today- whoo hoo! Then we have three hours of class, then dinner, then three more hours of class. Lots of class!! I want to tell you all that I am so happy here. I truly feel myself changing, and changing for the better. I wish everyone could just come here and experience what I am experiencing! I feel the Spirit with me more than ever. I have already had more meaningful prayers and more meaningful scripture study than ever before, and I know this is only going to increase. 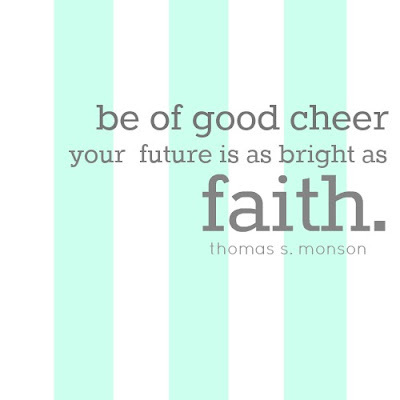 I love this gospel, and I love serving my Heavenly Father. I pray for you all every night. Love you! Our family was taught by Sister Missionaries. You will be awesome and share your sweet spirit. As our Stake President said, “Sister Missionaries can get in homes that have turned Elders away”. Heavenly Father knows you are in a perfect location. Love you!